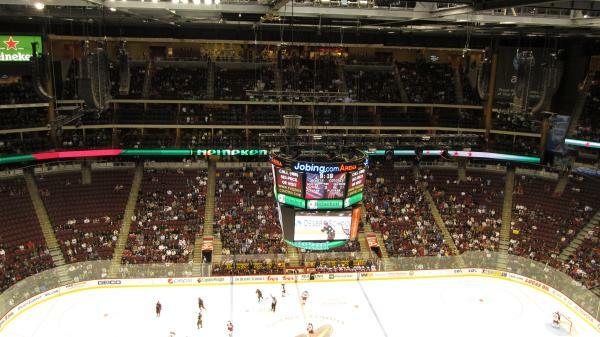 This is a Joe Yerdon (Pro Hockey Talk on NBC Sports) photo from the Pressbox at Jobing.com arena last night in Phoenix: The Playoff-bound Coyotes vs. Blue Jackets. Home of the White Out! Also, am I wrong...somebody tell me that WASN'T Miles Goodwyn from April Wine!?! "Say Hello" was a brilliant track. If you are betting on the next 25 years, how can ANYONE be SURE that it will be BETTER than the past 15 years? Get real. Glendale is not the only city in the US that was guilty of overbuilding. That is what happens when you live beyond your means: It catches up with you. 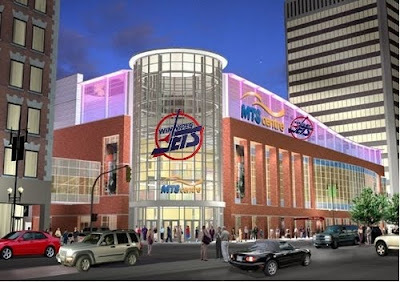 Many places in the US are stuck with empty buildings. What makes Glendale (a place that is already saddled with heavy debt) any different? The best predictor of future behaviour is past behaviour...and it becomes even easier to predict future behaviour when you charge more money! ...as alluded to in this video, maybe for the first time EVER!? "...you’re looking at $100 million in losses versus $500 million losses. Hmm. A betting man would take the former, to be sure. Only a crazy gambler would risk losing the half billion..."
Seems to me that same "crazy gambler" ALREADY risked losing the half billion, and did. It's not like this is the first sign that things were heading in the wrong direction after around 15 years. Was this not degenerate-like gambling at some point BEFORE the $500m total? You should also factor in that the terms are now worse than before: You are expecting that the habits of the same people (that helped create these numbers) are going to improve now that they will be burdened with EVEN MORE (parking) costs?? What do you call doing the same thing (but worse) and expecting BETTER results? I won't be so rude as to tell you what I would call it. GWI was created for this very scenario: Your Mayor and cohorts are flat-out guilty of going against your constitution - and who should know better than these very people!? The "gambling" that you referred comes with a penalty in your State - it is not a freedom of choice-like scenario. Plus, it isn't just your money that you are gambling with here...I seem to recall something about Gretzky getting stiffed somewhere along the way?? The COG WILL be sued as a result of this type of action...and a blind man can see that they will be found guilty of the charges. PS - This was written before the announcement that COG is going to sue Goldwater - that should be rich! 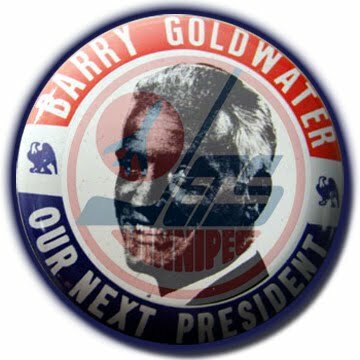 Goldwater just wants to do the "RIGHT" thing. 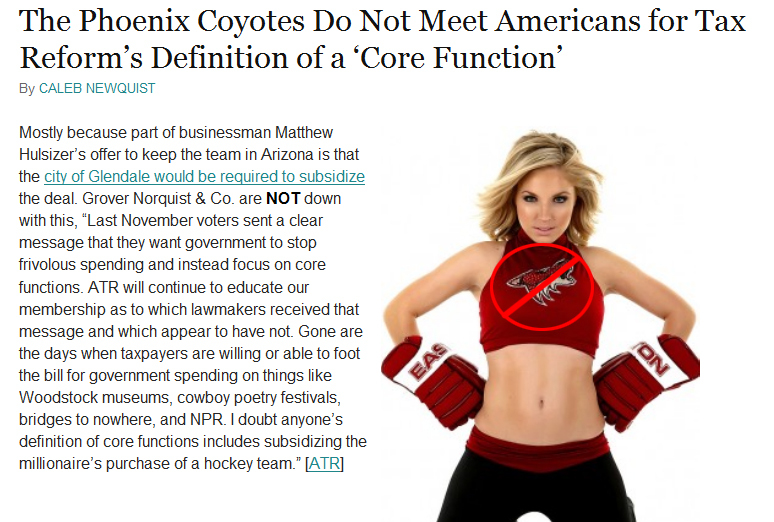 "The City of Glendale, faced with what they estimate will be more than a half-billion dollars in lost revenue, taxes and jobs if the Phoenix Coyotes relocate, is expected to file suit Monday against the Goldwater Institute and specific members of the public watchdog's board, multiples sources told ESPN.com Saturday." I (especially) dig the casual conversation going on right in the middle of traffic.